The Piet Zwart Institute is the center for postgraduate study and research of the Willem de Kooning Academy, Rotterdam's art school. The de Kooning Academy is a part of Hogeschool Rotterdam, a university of applied sciences. Named in memory of the Dutch designer Piet Zwart, it was inaugurated in 2001. The current postgraduate study program structure had been introduced earlier in 1999. The Piet Zwart Institute currently includes five Master study programs and one research program: Masters in Fine Art, Retail Design, Interior Architecture, Media Design and Communication (until 2012 with the specializations Networked Media and Lens-Based Digital Media) and Education in Art, and a research program Communication in a Digital Age. The academic degree of Masters is validated by the NVAO, the joint accreditation organization of the Dutch and Flemish ministries of education. Since 2002, the Piet Zwart Institute initiated three research programs, Media Design Research (2002-2006, led by Matthew Fuller) and Communication in a Digital Age (since 2008, led by Florian Cramer) and Cultural Diversity (since 2010, led by Hugo Bongers). Research fellows included Lev Manovich, Alexei Shulgin, jodi, Simon Yuill and Alessandro Ludovico. Among the publications were an early handbook on open content licenses and the anthology Software Studies (ed. by Matthew Fuller, The MIT Press, 2008). 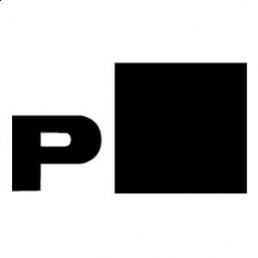 Since 2000, the study and research programs of the Piet Zwart Institute have published books on contemporary art, media and design in collaboration with publishing houses like Revolver Books, The MIT Press and OpenMUTE. The institute also collaborates with local organizations such as TENT/Centrum voor Beeldende Kunst, Witte de With, V2_ Institute for the Unstable Media, Boijmans van Beuningen Museum, WORM, Duende, Het Wilde Weten and Goethe-Institut Rotterdam. All study and research programs are based on a small core staff and a great number of visiting tutors. Course directors have been Anke Bangma (1999-2007), Vanessa Ohlraun (2007-2011) and Vivan Sky Rehberg (since 2011) for Fine Art; Raphael van Amerongen (2001-2007) and Margaret Wijnands (since 2008) for Retail Design; Matthew Fuller (2002-2006), Florian Cramer (2006-2010) and Renee Turner (2010-2011) for Networked Media; Robin Punt (2006-2010), Mirjam van Tilburg (since 2010) and Jojanneke Gijsen for Education in Art; Simon Pummell (2009-2011 and again since 2017) for Lens-Based Digital Media; Simon Pummell (since 2012) for Media Design and Communication (merged Networked Media and Lens-Based Digital Media courses); and Aymeric Mansoux for Experimental Publishing (since 2017). Since 2003, the project coordinator for Media Design programme (NM, LBDM, XPUB) has been Leslie Robbins. 2015 Website, Catalogue: b&w sections, colour sections. Media Design Graduation, Rotterdam, 2005. Media Design Graduation, Rotterdam, 2006. Media Design Graduation, Rotterdam, 2007. Video, Cards, Invite, Tags, Press release. You Are pWNED, WORM, Rotterdam, 2008. Graduation show of Media Design. Catalogue introduction, Flyer, Press release. Huh? Oops... F*ck! Oh... Oh, no! Wait... Again..., Rotterdam, 2009. Graduation show of Media Design. Disrupting Systems, Rotterdam, 2010. Graduation show of Master Media Design & Communication/Networked Media. Catalogue, Floor plan, Flyer, Press release, Video by Vanita & Joe Monk (13 min). Catching Art in the Alternet, Rotterdam, 2011. Graduation show of Master Media Design and Communication: Networked Media. Catalogue, Booklets, Video by Vanita & Joe Monk (20 min). With One Eye on the Horizon, Rotterdam, 2011. Graduation show of Master Media Design and Communication: Lens-Based. Exception Handling, TENT & WORM, Rotterdam, 2012. Graduation show of Media Design & Communication Masters. News from Nowhere, TENT, V2_, NAI and WORM, Rotterdam, 2013. Graduation show of Media Design & Communication Masters. Curated by Willie Stehouwer. Website, Catalogue, Venue, Photo documentation. Politics of Craft, WORM & V2_, Rotterdam, Jun 2014. Graduation show. Unlinked (Dislocations, Disappearances & Deprecations), TENT, Rotterdam, 2014. Graduation show of Master Media Design & Communication. Catalogue. Video, Facebook event, Photo documentation. Instruments: Reimaging the Music Room, Milan, 2014. Exhibition by the Master of Interior Architecture & Retail Design programme. Tempted by Tomorrow, Hofpoort, Rotterdam, 3-12 Jul 2015. 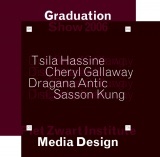 Graduation show of Media Design & Communication Masters. Curated by Thomson & Craighead and Willie Stehouwer. Website, Catalogue: b&w sections, colour sections, Announcement, Facebook event. Fuzzy Logic, V2_, Rotterdam, 17-25 Jun 2016. Graduation show of the Master Media Design. Website, Catalogue, Venue, Facebook event. Interfacing the Law, Het Nieuwe Instituut Library, Rotterdam, 15-16 Jun 2017. Graduate festival of the Experimental Publishing (XPUB). Lawrence Liang, Guide to Open Content Licenses, Rotterdam: Piet Zwart Institute, 2004, 109 pp; rev.ed., 2005, 109 pp. Florian Cramer, Snake Rituals and Switching Circuits: The Blurring Lines Between Mass and Personal Communication, 'Old' and 'New' Media, Rotterdam: Piet Zwart Institute, 2009, 31 pp. Inaugurational lecture for the research project Communication in a Digital Age, 13 Jan 2009.
post.pic: imageboards, tagging, tool images, visual studies: a primer by practitioners, Rotterdam: Piet Zwart Institute, 2010, 31 pp. Based on a series of short lectures given for a general audience during the International Beeldfestival/Image Festival Rotterdam, 2009. OP=OP, Rotterdam: Piet Zwart Institute (XPUB Special Issue 1), 2016,  pp. Website. Shop. TGC #3, Rotterdam: Piet Zwart Institute (XPUB Special Issue 2), 2017. Special issue of Tetra Gamma Circulaire audio magazine, consisting of 8 floppy disks. Website. A Bed, a Chair and a Table: Stories from the Poortgebouw, Rotterdam: Piet Zwart Institute (XPUB Special Issue 4), 2017. Website. I Need the Truth and Aspirin, eds. Iratxe Jaio and Kirsten Leenaars, Rotterdam: Piet Zwart Institute, 2002, 60 pp. Publisher, Editor. Trans-gender, eds. Nina Höchtl and Suzanne van Rossenberg, Rotterdam: Piet Zwart Institute, 2003, 65 pp. A follow-up to the trans/gender symposium organised on 11 Jan 2003 in Zaal de Unie, Rotterdam. Looking, Encountering, Staging, ed. Anke Bangma, Rotterdam: Piet Zwart Institute, and Frankfurt am Main: Revolver, 2005, 331 pp. Experience, Memory, Re-enactment, eds. Anke Bangma, Steve Rushton, and Florian Wuest, Rotterdam: Piet Zwart Institute, and Berlin: Revolver, 2005. Wherein Certain Persons, Induced to Meet for the Purpose of Conversing Together, Each Speak on the Subject They Find Most Congenial, ed. Anke Bangma, Rotterdam: Piet Zwart Institute, 2006, 62 pp. Publ. on the occasion of the MA Fine Art graduation show held at TENT, Rotterdam, 5 Oct-5 Nov 2006. The Collapse of Several Pillars, Rotterdam: Piet Zwart Institute, 2007. Publ. on the occasion of the show Knowing Nothing of Agility, held at TENT, Rotterdam, 12 Jul-19 Aug 2007. Another Publication, eds. Renée Ridgway and Katarina Zdjelar, Rotterdam: Piet Zwart Institute, and Berlin: Revolver, 2007. Small Talk with the Janitor, Rotterdam: Piet Zwart Institute, 2008, 53 pp. Publ. on the occasion of the MA Fine Art graduation show held at TENT, Rotterdam. Resonant Bodies, Voices, Memories, ed. Anke Bangma, Rotterdam: Piet Zwart Institute, and Berlin: Revolver, 2009, 224 pp. Never Odd or Even, eds. Nienke Terpsma and Jack Henrie Fisher, Rotterdam: Piet Zwart Institute, 2009. Publ. on the occasion of the MA Fine Art graduation show held at TENT, Rotterdam, 11 Jul-23 Aug 2009. If You Say Something, See Something, ed. Mai Abu El-Dahab, Rotterdam: Piet Zwart Institute, 2010, 158 pp. Publ. on the occasion of the MA Fine Art graduation show held at TENT, Rotterdam, 9 Jul-22 Aug 2010. Jan Verwoert, Tell Me What You Want, What You Really, Really Want, ed. Vanessa Ohlraun, Rotterdam: Piet Zwart Institute, and Berlin: Sternberg Press, 2010, 312 pp. Selected essays. Publisher. Options with Nostrils, ed. Alexis Vaillant, Rotterdam: Piet Zwart Institute, and Berlin: Sternberg Press, 2010, 239 pp. Publ. on the occasion of the project Office for the Unknown. Anthem for the People's Tomorrow however, We Do Not Have, ed. Ellen Blumenstein, Rotterdam: Piet Zwart Institute, and Leipzig: Spector Books, 2011, 174 pp. Steve Rushton, Masters of Reality, ed. Vanessa Ohlraun, Rotterdam: Piet Zwart Institute, and Berlin: Sternberg Press, 2012, 192 pp. Selected essays. TOC, Publisher. Nothing Could Be Slow Enough, Nothing Last Too Long, ed. Arnisa Zeqo, Rotterdam: Piet Zwart Institute, 2013, 63 pp. Publ. on the occasion of the MA Fine Art graduation show held at TENT, Rotterdam, 28 Jun-25 Aug 2013. Jan Verwoert, Cookie!, eds. Vivian Sky Rehberg and Marnie Slater, Rotterdam: Piet Zwart Institute, and Berlin: Sternberg Press, 2014, 252 pp. Selected essays. Publisher. High-Rise, 9 vols., ed. Maaike Gouwenberg, Rotterdam: Piet Zwart Institute, 2015. Publ. on the occasion of the MA Fine Art graduation show. R-dman, eds. Bernd Krauß and Jason Hendrik Hansma, Rotterdam: Piet Zwart Institute, 2015, 103 pp. Crooked Elbow, Serpent Brain, ed. Nathalie Hartjens, Rotterdam: Piet Zwart Institute, 2017, 106 pp. Publ. on the occasion of the MA Fine Art graduation show held at MAMA, Rotterdam, 7-16 Jul 2010. Ana Gabriela Jimenez, Claudia de Azevedo Borges, Nick Koning, Todd Matsumoto, Victoria Donkersloot, Wijbrand Stet. Alejandra Pérez Núñez, Anna Andersson, Dirk van Oosterbosch, Kim de Groot, Oliver Meskawi, Roxana Torre. Cheryl Gallaway, Dragana Antic, Sasson Kung, Tsila Hassine. Andrea Fiore, Andreea Carnu, Audrey Samson, Dominik Bartkowski, Jorrit Sybesma, Marc de Bruijn, Nancy Mauro-Flude, Shahee Ilyas, Walter Langelaar. Annemieke van der Hoek, Danja Vassiliev, Gordan Savičić, Ivan Monroy López, Linda Hilfling, Maria Karagianni, Michael van Schaik, Ricardo Lafuente, Salvador d' Souza. Alexandre Leray, Dennis de Bel, Leonie Urff, Marc Chia, Sauli Warmenhoven, Serena Williams, Stéphanie Vilayphiou, Timo Klok. Emanuele Bonetti, Farah Shakeel, Loredana Bontempi, Selena Savić. Networked Media: Albert Jongstra, Birgit Bachler, Darija Medić, Megan Hoogenboom, Özalp Eröz, Renée Olde Monnikhof. Lens-based Media: Chris Baronavski, Femke de Bruijn, Marleen Leuverink, Roeland Veraart, Tanja Deman, Tiddo Roozendaal, Vincenzo Onnembo, Yuko Uesu, Zafer Topaloglu. Networked Media: Amy Suo Wu, Danny van der Kleij, Dušan Barok , Fako Berkers, Inge Hoonte, Laura Macchini, Laurier Rochon, Lieven Van Speybroeck, Mirjam Dissel. Exchange students: Nataša Sienčnik, Fabien Labeyrie. Lens-based Media: Daan Bunnik, Lena Müller, Loes van Dorp, Luis Soldevilla, Quinten Swagerman, Sebastian Cimpean, Tomás Navarro, Zhang Yan. Networked Media: André Castro (PT), Eleanor Greenhalgh (UK), Jasper van Loenen (NL), Jonas Lund (SE), Petra Milički (HR), Marie Wocher (DE), Dave Young (IE). Exchange students: Silvio Lorusso (IT), Sebastian Schmieg (DE), Bartholomäus Traubeck (AT). Lens-based Media: Demet Adigüzel (TR), Janis Klimanovs (LV), Javier Lloret (ES), Astrid van Nimwegen (NL), Manó Dániel Szöllősi (HU), Dennis van Vreden (NL), Lucian Wester (NL). Yoana Buzova (BG), Lasse van den Bosch Christensen (DK), Nicole Hametner (AT), Marlon Harder (NL), Menno Harder (NL), Niek Hilkmann (NL), Michaela Lakova (BG), Roel Roscam Abbing (NL), Nan Wang (CN). Exchange student: Matthias Hurtl (AT). Mihail Bakalav (BG), Caetano Carvalho (BR), Junyu Chen (CN), Lucia Dossin (BR), Max Dovey (UK), Henk-Jelle de Groot (NL), Elleke Hageman (NL), Artyom Kocharyan (AM, NL), Lídia Pereira (PT), Luísa Moura (PT), Nikos Vogiatzis (GR), Joseph Knierzinger (AT), Mathijs van Oosterhoudt (NL). Lucas Battich (AR), Manetta Berends (NL), Julie Boschat Thorez (FR), Cihad Caner (TR), Joana Chicau (PT), Cristina Cochior (RO), Solange Frankort (NL), Arantxa Gonlag (NL), Anne Lamb (US), Benjamin Li (NL), Yuzhen Tang (CN), Ruben Van de Ven (NL), Thomas Walskaar (NO). Samira Damato (DE/MT), Pleun Gremmen (NL), Sara Hamadeh (LB), Julia Kul (PL), Colm O'Neill (IE), Nataliya Sinelshchikova (RU), Max Wohlleber (DE), Xiting Xu 'Chloe' (CN), Ying Shi 'Stone' (CN). Experimental Publishing: Karina Dukalska (PL), Max Franklin (UK/AU), Giulia de Giovanelli (IT), Franc González (ES), Nadine Rotem-Stibbe (IL/FR). Exchange student: Noémie Vidé (FR). Lens-based Media: Ryan Cherewaty (CA), Catalina Giraldo (CO), Qian Hao (CN), Fabian Landewee (NL), Sigrún Lýðsdóttir (IS), Anna-Lena Lystad (NO), Irma Oldenburg (NL), Paula Winkler (DE). Experimental Publishing: Natasha Berting (NL), Elisa Chaudet (US/FR), Angeliki Diakrousi (GR), João Pedro van der Horst (NL/BR), Alexander Roidl (DE), Alice Strete (RO), Zalan Szakacs (RO/HU), Emily Buzzo (UK). Lens-based Media: Ana Buljan (HR), Maomei Alice Chan (IT), Dorothy Cheung (HK/UK), Sinyoung Kim (KR), Lotte de Jong (NL), Salvador Miranda (CA/MX), Ewan Macbeth (UK), Henrietta Müller (RO), Rosella Nisio (IT), Michael Pelletier (CA/NL), Zhibin Qin (CN). This page was last modified on 4 April 2019, at 09:47.